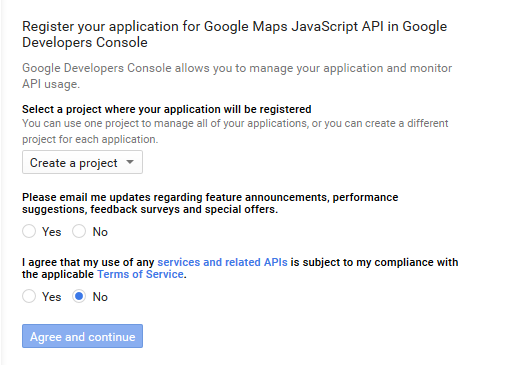 On June 22th Google announced that from that day on, every new implementation of the Maps API requires the usage of an API key. This is very important for anyone that wants to use my Google Maps plugin for CKEditor, because now you must get your key in order to use it. The basic usage of the API allows 25.000 free maps loads per day, and you can have one key for each domain that you want to use. From that point you'll have to get a paid license. This is more or less the same, they have adjusted the way that somethings are counted but the important part is that previously the free usage encouraged signing the requests with an API key but now it's a forced requirement. 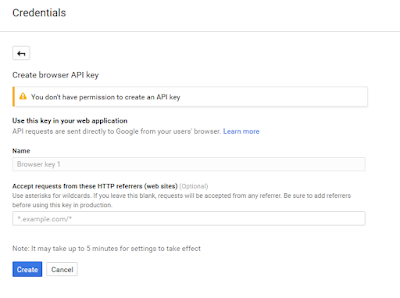 Getting an API key isn't too hard because the process has been streamlined and you mostly have to agree to the Terms and Conditions, you can find here their instructions, but I'm gonna provide some screenshots so you can view how easy it is. As this is probably a new project you just have to click Continue. 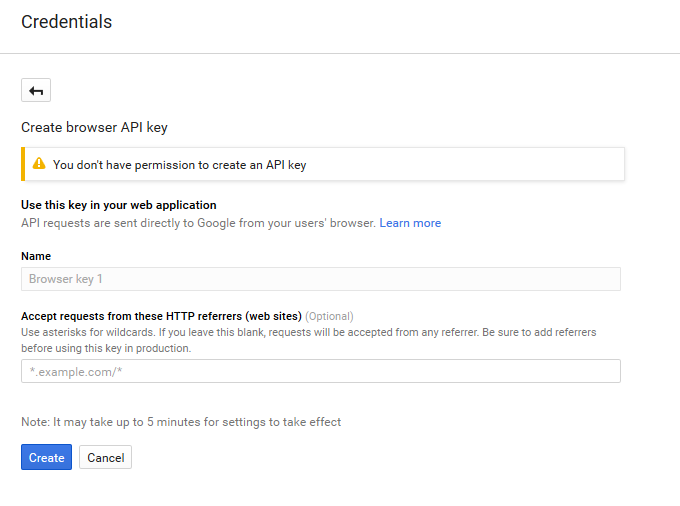 This doesn't look right, the "You don't have permission to create an API key" message is strange, but the fact is that the "Create" button is enabled and it works, so you can define the allowed Referrer sites, or leave that blank now and adjust it later. 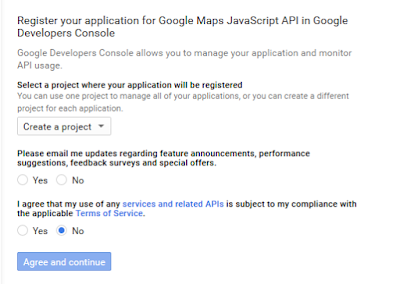 Please, keep in mind that these steps are the current ones as of July 2016, Google might change things or even depending on some settings on your account you might see different things, but the end goal is to get a Google Maps API key, enable also the usage of that key for the Static Maps and then put it in a googleMaps_ApiKey entry in the configuration of your CKEditor instance. and from them on when you try to get another key for a new domain, the dialog that it's used is the one that I've shown at first. Also, at the top of the screen you might get a banner to sign up for Google Cloud, but if you plan to stay within the free plan limits you don't need that.